There was recently a post on the Door of Hope Facebook page about the price of rice. It was approximately correct. So I'd like to take a few minutes to clarify, and explain the rice situation. In 2013 we had 125+ people on our compound. 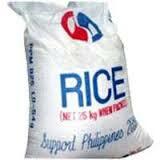 A sack of rice cost about $41 for 60 kilos (132 lbs). We used a sack of rice for every 4 meals. So we were spending over $900 a month on rice. Now in 2015, we have about 80 people on our compound. A sack of rice lasts for 2 days. This year a sack of rice costs about $58 for 60 kilos (132 lbs.). So at this rate we are still paying around $870/month for rice. Why is rice so expensive? 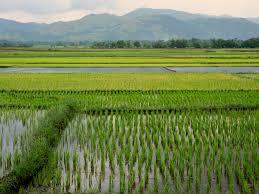 The hurricane in 2013 destroyed many of the Philippine rice fields. So the demand for rice has steadily driven the price up. 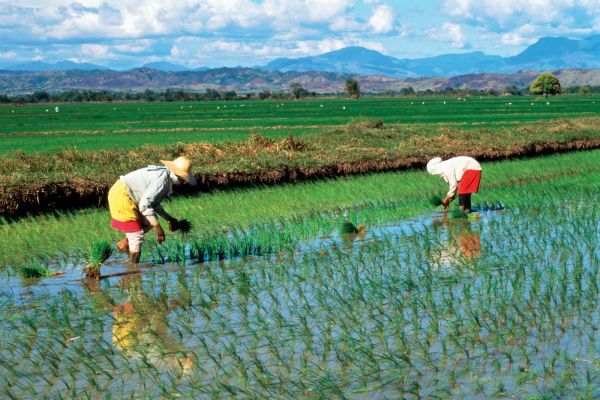 We are having to pay more and more for local rice, as big buyers from around the Philippines come in and offer higher prices to the local farmers for their harvest. Are there any rice alternatives? We have tried a few different things to stretch the rice supply.... we sometimes make soup out of the rice to stretch it. We've tried mixing up to 50% ground corn with the rice. We have served some root crops for breakfast in place of rice (cassava and sweet potato). We have served plantains (cooking bananas) for breakfast in place of rice. All of these have been tolerated moderately, and are actually enjoyed for an occasional change.